Other antique maps. 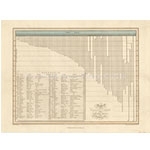 Here you can find original antique maps which do not fall into specific geographic categories for sale. Every authentic old map ships with a certificate of authenticity and, when available, a copy of the title and contents page from the atlas. Free insured USPS Priority Mail shipping to the United States! Low International rates also, we ship Worldwide. Use our Zoom feature to closely inspect our maps before you buy. We offer a no questions asked money back guarantee for the map purchase price if returned within 10 days. 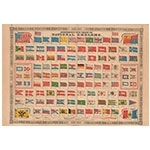 Find your authentic vintage map here today.